Lucy Stanhope is a spoiled debutante living the good, but boring life in Singapore as World War II encroaches upon its shore. Just months before all hell breaks loose, her mother banishes her to England to live with her estranged aunt as punishment for her total disregard for priority and for almost sabotaging her stepfather's business deal. As the ship makes its way to England, however, it's torpedoed, and so begins a journey that will test her inner strength and beliefs ultimately changing her life forever. This was a lovely journey of self discovery. When we first meet Lucy she is a self indulgent young woman desperate for attention, but who goes about getting it in all the wrong ways--sometimes to the point of recklessness. She's always felt a bit like an outsider, constantly being moved from one place to another and never setting down any roots. With no immediate plans for the future and constantly trying to gain her mother's approval and affections, she tends to act out and do what she wants. While not happy about going to England, she hopes she'll somehow manage to find her place in the world. When a chance encounter with a Hollywood producer suggests he could make her a star, she really think much of the offer. As the idea begins to take root, she sets her sights on being "discovered" as she suspects Hollywood might be her ticket to getting her what she wants. Her mother would no longer be able to deny her existence and maybe, just maybe, be happy to lay claim to her. Bill is a young boy whom Lucy befriends. 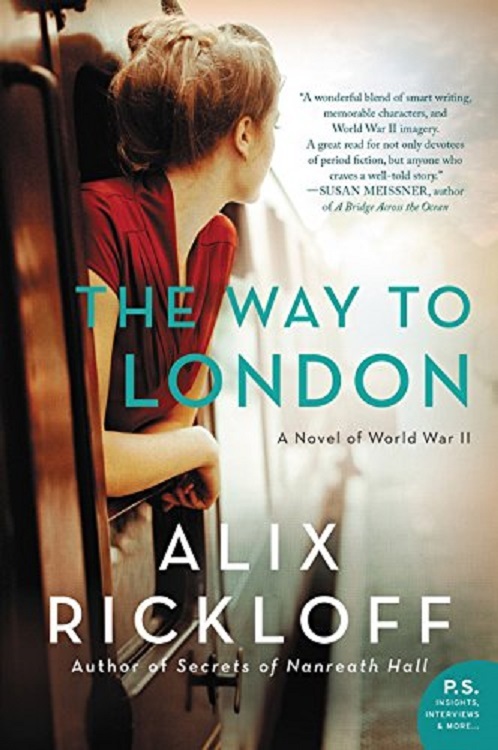 Separated from his mother during the evacuation program set up to save London's youth during the worst of London's air raids, Bill is equally ignored and frequently finds himself in trouble. In Bill, Lucy finds a kindred spirit often times seeing bit of herself in him. Right from the start, the two get along swimmingly. Together they decide to venture into the war torn region of London--one in search of his mother, the other for a shot at stardom. Lucy is more than she first appears. As the story progresses, we watch her grow as an individual and find herself right before our eyes. Instead of trying to do things that will get her mom to notice her, she starts trying to figure out what she wants. She begins to wonder what would make her happy. That's a luxury that until recently she really had no control over. As she makes her way to London with Bill, she loses her prickly disposition and begins to open up to life, love, and all the possibilities that exist.. Overall, I gave this one 4 out of 5 roses. It hooked me at the get-go and kept my attention. I hadn't a clue what to expect with this one, but it was intermittently funny, witty, and serious. I enjoyed the multifaceted characters, and felt as if I'd stepped through a portal back in time. I'm not sure taking a young boy back to London in the middle of a war zone was the wisest of decisions, but I enjoyed the journey and story nevertheless. I'll definitely be reading more books by this author in the near future.